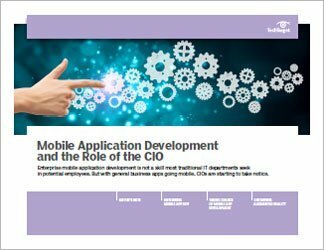 In a 2012 survey, 52% of companies indicated that they planned to use service-oriented architecture (SOA) services to support mobile application development. 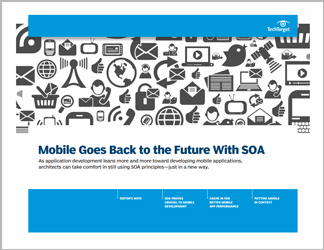 Although SOA is at the foundation of a mobile development platform, developing and deploying solid mobile applications requires more. 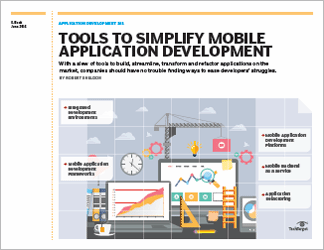 Check out this e-book which outlines two unique approaches -- Back end as a Service (BaaS) and RESTful APIs -- that will enable management and development teams alike to gain a better understanding of the mobile application development process.